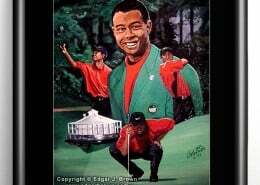 Tiger Woods shot to fame after winning the US Masters at Augusta in 1997 – with a record score of 270 – at the age of 21. Woods was the first African-American to do so, as well as the youngest. 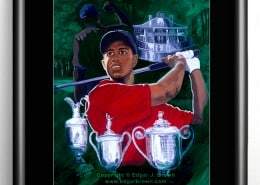 This is the first painting completed by sports artist Edgar Brown of Tiger Woods. 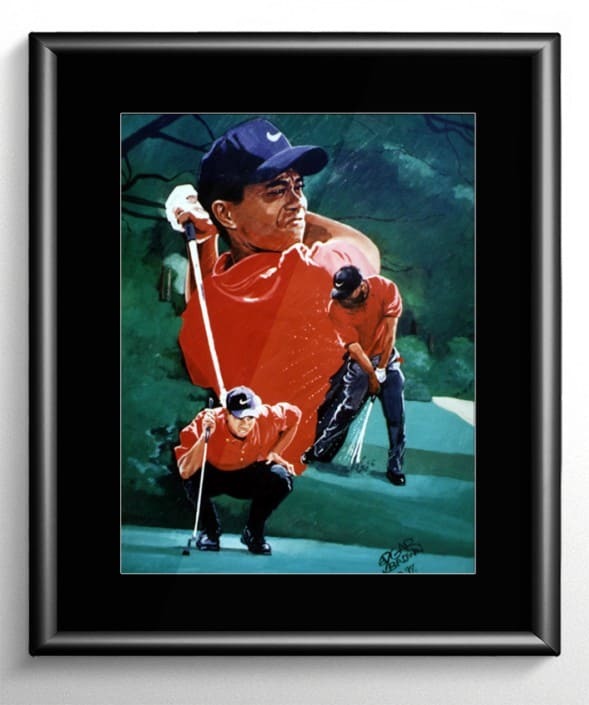 Tiger Woods wears a red shirt on the final round of every tournament in which he plays, as he believes the color red symbolizes aggression and assertiveness.